Welcome and thank you for visiting the home page of Dr. Thomas A. Gentle. 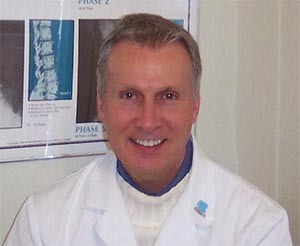 Gentle Chiropractic in Winston Salem, NC provides quality care to patients through the expertise of Dr. Thomas Gentle. Gentle Chiropractic is a patient centered practice dedicated to delivering exceptional service in a caring atmosphere. We utilize the most effective chiropractic techniques and therapies to improve your health, free you from chronic pain, reduce stress and get you back on the road to recovery after an auto accident or work injury. We have helped many people get relief from their pain and restore their health with chiropractic care. Dr. Gentle has been serving Winston Salem and its surrounding areas since 1996. He is a preferred provider for all BCBS managed care programs: Blue Advantage, Select, Choice, Options, Blue Card and all Federal Claims. We are also in network for Med Cost, Cigna, Medicare, Medicaid, Blue HMO, Partners, and State Teachers. Call our office at 336-896-9898 for an appointment today!